After suffering with horrible inner thigh cramps I found Hyland's leg cramp pills. All natural but will stop the worst cramps in minutes. Nothing has ever worked better. I am never without them. Taking a teaspoon of mustard will usually help the muscle cramps. I have had both knees replaced and a joint fusion in my foot. I get severe leg and foot cramps at night. I have tried vinegar, tonic water, pickle juice, taken bottles of Hyland's cramp pills, and no relief. I found taking two heaped tablespoons of French's mustard is the best cure I have found. Taking a warm shower for thigh muscle cramps or using a warm compress with a washcloth works for me. If the muscle doesn't relax completely, the cramp comes back. I also deep breathe while I'm soaking the leg and if I think I'm dehydrated I'll drink some water. Mine are usually exercise related and they happen more often as I've gotten older. After a hard workout, I sometimes get leg cramps during the night. They hurt. Taking two tablespoons of apple cider vinegar provides immediate relief. I been doing this for at least 25 years for muscle cramps. Take 2 bars of Irish hand soap and place them in your bed between the sheets so they can touch your legs and feet. Just leave them there until they seem to begin to dry out, around 6 to12 months then replace them. I get the kind of soap that smells good. This works, I go for months without bad cramps. I get very small ones, I can get rid of them by a simple movement of the foot or leg. I can't remember when I had a cramp so bad that I had to get out bed. This works great for persons who are bed ridden. Good luck. I have found wrapping legs tightly directly under knees with some type of stretch material (3/4 inches wide coverage) has stopped leg cramps; nothing else has. I have tried all the others, none worked. They sell a brace made to do this, and I kind of copied from that. My back surgery in June has me going back to the doctor in 3 months. I had no idea they would remove a bone and place an implant with screws. Now I carry a card. Muscle cramps happen when we don't drink enough, and we get dehydrated. I drink 5 to 6 bottles of water daily. After surgery I had spasms. My doctor has me on spasm and nerve pills. I take them three times a day. I continue to take the pills 3 times a day but my left knee and thigh hurt down to the outer side of my calf and my ankle. When I sit with my leg elevated and not move around, I feel better. I am waiting for my physical therapist to perform magic. I get really bad leg cramps during the night. I eat yellow mustard and the muscle cramping goes right away. Almost instantly! Not sure why that works, but it does! I have experienced severe muscle cramps in calves and thighs (once all at the same time). I find getting in a shower and having the water as hot as I can stand and spraying it on the affected area(s) seems to work for me after a few minutes. When muscle cramps sets in drink tonic water, any brand as it contains quinine in it. I drink about 4 ounces, and it works very quickly. I am looking for some deficiency in my diet, vitamin or otherwise, to take as a preventative. The quickest and easiest muscle cramp relief I have discovered is to immediately drink dill pickle juice. It doesn't have to be over a fourth of a cup to work. I don't know why but it works very fast. I've had these leg and ankle cramps since I was about 5 years old. I'm now 66 and just found out what stops them cold. I stopped taking magnesium, and all the other drugs on the market today. I was taking Hyland's leg cramp pills by the dozens. I remember my father telling me when I was 6 years old. He only told me once and at 66 I took his advice and have not taken any pills since. I would have these cramps almost every day. Go the grocery store and buy a bottle of dill pickle spears. Just before you jump into bed, eat (1) one spear, then go to bed. You will never have another cramp, ever. I'm going on 10 weeks without cramps. When you get to the bottom of the jar having taken your last pickle the night before, drink all the remaining juice. Sleep! No cramps ever! I always make sure I have some magnesium phosphate salts handy and take it daily, if I run out and have a cramp attack in my legs at night I take a drink of Schweppes tonic water as it contains quinine. If I haven't got this then I have a teaspoon of either pickled dill juice, or Piccalilli, It works very quickly. I think the latter must be the vinegar (acetic acid) in these. Hope this is useful to anyone that suffers these horrible cramps. I use Aspercreme lotion for my muscle cramps. I have a bottle in every room in case I get cramps and can't move. For me the cramps are gone within minutes. But it would be nice to not have any. I order it online. Magnesium supplements have helped for my muscle cramps as mine are exacerbated by fibromyalgia. I have suffered from leg muscle cramps for most of my adult life, mostly at night, and they are excruciating. Sometimes, I can barely get them to work out after 10 minutes of agony. Even though, quinine sulfate is no longer available in the U.S., it is available by prescription in Canada. Both my primary care physician and a rheumatologist I once saw felt there was no problem with taking one 300 mg tablet at bedtime. Each gave me a prescription, and I get them at a pharmacy in Canada. They have totally eliminated my leg cramps at night, thank goodness! Such an amazing relief. I'm 83 and have suffered with leg and toe cramps for years, usually at night. When you could still get quinine I used that and it cured the cramp in a minute or less. I got some in Australia after it was banned here but I ran out of it, of course. They no longer sell it there either. Hot water and walking around usually works but I'm definitely going to try pickle juice as some have suggested. I have been suffering tightening of the calf muscles for the past year. On the scale of 1 to 10, I have had many nights peaking at 10, so needless to say, I dreaded bedtime because of this. Having said that, I was determined to go without prescription medication to remedy this. Through my trial and errors, I found French's mustard to be the most effective. This is what works for me: 1 teaspoon at 12 noon, 1 teaspoon at 3 pm, and 1 tablespoon at 6 pm. Be sure to take the last dosage 2 hours before bedtime. With the mustard for a week, I have been sleeping much better. Elevating my legs with a firm pillow has helped as well. I also do a lot of calf stretches. Hope this helps. I have been having various muscles cramp in my legs at night and they have been excruciating. This has been going on for about three years. Then quite by chance I was listening to a radio show and a patient who experienced leg cramps told of having a teaspoon of mustard at his evening meal and his cramps never returned. So, I thought I'd try it. I also have moderate plaque psoriasis and psoriatic arthropathy (arthritis). I have been eating a teaspoon of mustard every night now for a week and the psoriasis has cleared somewhat, the back pain has lowered and, no more cramps. Yea! As I aged I started getting muscle cramps almost every night in my calves. My doctor suggested taking a tablespoon of pickle juice before going to bed. It took a day or so to work, but that stopped the cramps. I asked him about it, and he said he don't know why it works, but it does in many cases. I started having calf cramps a short time ago and my doctor suggested pickle juice. I take one tablespoon before going to bed and that has stopped the cramps. I might try the mustard to see if that works as well. If it does, I'll add a hot dog and have a meal! I've suffered for years with foot, calf and thigh cramps, especially the inside of my thigh. Here are the things that I have found that work for me. First, I have 2 pair of sneakers, one that I wear far more often. When I wear the other pair, it's guaranteed that I'll have cramps in my feet and thighs. It just took me a while to realize what was happening. I just have to remember not to wear them. The other 2 things that help me are having an extra blanket over my feet. My feet were getting cold and then they would cramp. The other thing is, when my legs start to cramp, I drink a large glass of water. My son is a coach and he says one of the main reasons for leg cramps is dehydration. Once I started listening to him, I've been able to stop a cramp immediately, but I seldom get them now as long as I keep that blanket on my feet and legs. Hope this helps someone. I have a jar of dill pickle juice, as soon as they start I jump up, grab a big glass of water, drink 2 or so inches of pickle juice, start drinking water and walking. It is a very short time until cramps are gone. When I play golf I have my pickle juice and water ready when I go to bed. I have been prone to leg cramps while sleeping. I have found if I can figure out how to stretch the cramped muscle, I get immediate relief. For a cramp in the calf muscle, I get up, put my feet flat on the floor and bend my knees and get immediate release. A cramp in the back of the thigh is very painful and stretching that one is also painful. However, when I stand and straighten my leg until my knee locks, I get immediate release of the cramp. I am 53 years old now and have been having cramps in feet, toes, and inner thigh, and believe me, cramp in my ribs that block every breath out of my lungs (since my early 30s). I have been using salt under my tongue that worked for a while. But since I am on blood pressure medication, cramps became worse and my general physician prescribed quinine and wow, I very rarely have a cramp. I only used it when am experiencing a cramp (have a safety stash for in case). I am also using magnesium and vitamin C daily. I live in South Africa and quinine is available here. I frequently get a cramping in the upper inside thigh muscles especially after sitting in a hard chair for a long time. My life saver is Tiger Balm, an ointment available at most pharmacies. It takes about a minute or two for the cramp to abate and is gone. It has a strong odor but you get used to it. Also, walk it off if you can. Having suffered painful muscle cramps from calves to ankles to feet, or knee to groin and back of knee or buttocks for almost 15 years, I read about taking 1/4 to 1/2 teaspoon of sea salt once in the morning and once before bed. It has brought miraculous relief. I now take only before bedtime, although if I have been overactive and dehydrated during the day, I may still get one during the night. My husband knows to bring me 1/4 tsp sea salt in a small amount of hot water and it literally stops the cramp within 30 seconds. It must be sea salt due to mineral content. Hope this helps someone. For those who have tried everything mentioned, I have found that avoiding tannins in food and drink prevent my cramps. Red wine, coffee, dark chocolate, barley, cherries, asparagus, and grapes are some examples. Also herbs such as thyme. Avoiding tannins after noon is especially important. If I don't drink at least 2 liters of water a day, I get the so-called 'charley horse' cramps in a calf. I immediately get my foot on to something colder than body temperature, e.g., a hardcover book on the floor beside my bed. It works without fail! I have experienced severe muscle cramps if I dance in high heel shoes. I usually jump to a standing position and start rubbing the muscle. Next I make myself a drink with half glass water, 1 tsp sugar, and a pinch of salt, and then drink it fast. If one drink is not sufficient I drink two or three times in the next half hour. Usually helps but I have felt that caffeine worsens it. I was able to stop painful muscle spasm in my calves (upon awakening) after abstaining from coffee on two occasions. I have a hard time trying to stop drinking coffee permanently, for I always notice healthiness and energy when I quit. It doesn't help when I replace fluids with electrolytes either. It doesn't help when I drink approximately two quarts of water (possibly more) daily (I have to because of my job). Only when I stop coffee I stop getting the muscular spasms in my calves, and other health benefits. I wish I was not addicted. I am 70 years old and have been getting leg muscle cramps since younger days. But for the last two years I started getting them almost every night. Then I read somewhere that garlic can help prevent the cramps. I am happy that I gave it a try. I am taking one garlic pearl (capsule) every day and no more cramps. It is a known fact that garlic is very beneficial for health. At least no side effects as far as I know. I use vitamin E 400 IU as soon as a muscle cramp starts and the cramp disappears in less than one minute. I have had cramps at night time for at least 40 years when standing long time during the day or working in the heat. Vitamin E is the best to stop cramps. Hands down I'm for prevention of muscle spasms: magnesium citrate is a muscle relaxer. I take it after a tough workout. Beware it relaxes all muscle including intestinal muscles. So if you normally have a tendency toward loose stools try magnesium glycinate instead. If you have low blood pressure, use with caution, magnesium lowers blood pressure by relaxing the muscles within the blood vessels. 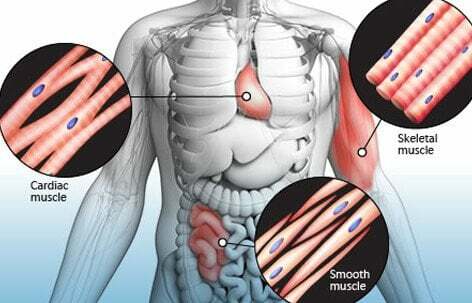 Massaging the area also helps to get fresh blood into the constricted area. I have periodic leg, foot, and toe cramps. They wake me up at night. Normally I'm in bed or sitting with my feet up (in a recliner). I've found that if I stand up (even though it's painful) and walk around a little the cramps go away. This works for me. I have found stretching helps a great deal as does keeping active too but, well hydrated (mostly water). Also, taking some pickle juice and/or apple cider vinegar helps a great deal. Mustard! It works almost instantly for muscle cramps. Eat a heaping tablespoon of mustard and you will have relief. I had severe cramps in my right foot and left front lower leg, just right beside the bone going down the lower part of the leg. I grabbed the mustard bottle and ran a hot tub of water... pain was gone and muscle relaxed. I have had painful excruciating cramps that wakes me up in the night for years and thanks to vitamin E 400 taken daily I have no cramps. For muscle cramps, I ate bananas, drank copious amounts of water, and electrolytes with poor results. My leg cramps (Charlie horse) happened at night and woke me up many times per night. I finally went to my physician who asked me to drink about 5oz. of tonic water every day. Following his advice I started the program and haven't had a cramp since. Tonic has quinine so at small doses it acts as an anti-spasmodic. Salt and calcium both prevent and relieve leg cramps for me. Supplements or foods high in magnesium, potassium or sugar give me cramps within 20 minutes of ingestion. For as long as I can remember I have had leg cramps. My Mum used to say that I will grow out of them one day. Well, I'm over 65 years old now and only recently been cured from my cramps! I found a website about leg cramps and there was advertised a different magnesium than I had ever used. It is called monomagnesium malate and I started with 2 capsules, twice a day, and 3 weeks later only 2 capsules before breakfast. It has worked a treat! I hope it will help you too! I have been woken by lower leg muscle cramps for years. My daughter said that an ounce shot of dill pickle juice would stop it. It did instantly. Maybe that is why pregnant women crave dill pickles. Any pickle juice seems to work for me. I am a diabetic and have been experiencing occasional muscle cramps for the last 35 years (since I was 45years). Mainly they occur during hot weather season as I live at latitude of about 18 degrees. I get relief when I drink a glass of water with a spoonful of salt. I have 2 shot glasses of 100 percent orange juice every morning, no more no less. I went from daily, nighty cramps of legs, sides, arms and even face cramps, to 'can't even remember my last cramp'. I also took 5 quinine pills a day which made my heart beat out of my chest. I've been doing my orange juice now for at least 10 years, I'm a firm believer in orange juice. I have had leg, ankle and foot cramps at night for a long time. Whenever I start having them I take 500mg of lysine. It is a supplement, available at Walmart and very cheap. It works well for me. I take one tablet before bedtime and no more cramps. I suffer from leg and foot cramps. I have found that if I take a tablespoon of mustard while I am having the cramps, the cramping stops almost immediately. Sounds awful, but it is worth it to have relief. I had leg cramps at night occasionally. I had to quit kneeling in church due to cramps in hamstrings. I woke up one morning with severe cramps in both legs and both feet. I passed out and broke my ankle really badly. My doctor put me on Synthroid for low thyroid 2 months ago. I have not had a leg cramp since. My husband had severe leg cramps for years. He would wake up screaming, they were so bad. So he went to the doctor his doctor told him to drink 4oz of club soda every night before going to bed. It has been a life saver, no more cramps. He suffered for about 5 years with these cramps, now they are gone as long as he drinks the club soda. People might try it and see how it works for them. The taste is bad but my husband said after a while you get used to it. My wife and I both suffer from night cramps. Quite by chance we discovered that warming the affected muscle with an air drier gave almost immediate relief. Clearly care must be taken not to overdo it and cause burns. Years ago I was treated for a blood clot in the leg. Ever since, I have periodic cramps in calves and feet, it usually happens when I have been on my feet for long periods. Since I found a product called "rescue 911" I have no dread of them. As a roll-on, it can be taken no matter when they strike. It works in about a minute or two and is the most effective of anything I have tried. I have had leg cramps almost 40 years. For years were sporadic and hot muscle medicines would stop the cramps. However the last ten years the cramps in my calves, toes, feet and ankles have increased in intensity. Any time I sit or lay with my legs up the cramps will start. My bedroom is on the second floor and I sometimes have to sit on each step to descend because my feet are so twisted. The cramps usually wake me about an hour after sleeping. Ice packs tied on the bottom of my feet and around the calves will help but after the ice melts usually an hour later the cramps are back. This goes on all night long. Heat helped for some time, then not. Ice helps but only for an hour. I have used Biofreeze and other muscle rubs but after a while they stop helping. I try not to wear the same shoes more than 2 days. Anything with arch support, like tennis shoes, is terrible. My doctor recently said to try magnesium. I take a diuretic for blood pressure and generic Detrol for an overactive bladder. The cramping is so severe some nights I am up every hour. Walking barefoot around home is better than wearing shoes or slippers. I use an Amish leg cramp remedy I get from the health food store. It stops any cramps in about 1 minute. I rarely get cramps but my husband gets them often. He takes it daily and it prevents them. I have been having really bad muscle cramps in my legs, toes, hands and fingers, very painful they are too. I have tried bananas they used to work, but no more. I have been told Indian tonic water works but I am yet to try that. The calf cramp can be easily stopped in less than 10 seconds by using the lower leg cramp reliever and you don't even have to get out of bed. I used to get calf muscle cramps once in 6 months as soon as I wake up. One of the main reasons I found was that it was due to stretching your muscles before getting up. You can press your toe firmly to the ground to get it released. Magnesium will cure muscle cramps for me. The cheapest thing to end cramps is a bar of soap, any soap, dry rub it on the cramp and lay it on the cramp, the minerals from the bar of soap open the blood vessels and thus, releases the cramp. Apple cider vinegar works well. I have suffered from chronic leg, hands and foot cramp for years and found that quinine worked the best but please note there is a side effect from the use of quinine for too long a period. My eyes have been damaged by the quinine which has affected certain colors being indistinguishable, red for one. I am going to try mustard and vinegar. I used to use quinine and it really stopped my leg cramps, but you can"t get it anymore. I then tried quinine water, but I would have to drink too much for it to do any good. I have tried potassium and magnesium but they do nothing. I"ve tried a lot of other things too. There has to be an answer out there. The leg cramps are terrible. They wake me every night. I am 44 years old and started getting feet, leg and back muscle cramps about 15 years ago. These cramps will last up to about 6 minutes. They will tighten then release and as soon as you think it's gone, it hits again. I have not found anything that prevents them but I do know extreme cold in the morning will bring them on and dieting seems to make them more frequent. A couple tablespoons of vinegar will release the cramp within a few minutes but that is sometimes hard to get down at 5 AM. I never had muscle cramps until I was put on a statin drug. I have never had a blood clot or heart attack. She (the doctor) told me to pick the one I wanted to take if I didn't like the one she prescribed, so I had to call the pharmacy and found out that what she had prescribed reacted badly with another prescription I was taking. Needless to say I changed doctors and have been put on one that is 1/4th the strength of the other. I was changed from 40mg a day to 10mg every 3 days. When I did get a charley horse I would get up and drink pickle juice and it would almost get rid of it immediately. The lack of sleep is horrible and what's worse is a doctor not listening. I have multiple sclerosis and muscle spasms and cramps are a daily problem for me. I rub my legs and neck and shoulders with Thera-Gesic every night and take a good drink of pickle Juice, believe me it helps. This may sound funny but it works for me: when you first feel the cramp starting, pinch the skin between your nose and lip. Massage the area as your lightly pinching it. It works for me, but you have to catch it as it starts. Once it gets to bad, magnesium, calcium, potassium and walking help. People just don't understand how painful it is! Running hot water over my legs for about 20 minutes helps. I take the Hyland's Leg Cramps pills and they seem to work. I also drink apple cider vinegar neat (or any other vinegar). There is a very good Hamish remedy that can be found online but that is a little costly. Whilst my leg is cramping I am in too much pain even to think and can only yell and hope for it to stop. My mother finds great relief for her muscle cramps if she takes over-the-counter vitamin E on a regular basis. A Banana daily for the magnesium in it used to ward off the nighttime leg cramps. Now a Magnesium and Calcium combined supplement seems to help. When it doesn't; one, Ibuprofen (400mg) helps. This has been an intermittent problem from my 40 to 70's and each time it returns it is more severe and covers larger areas of the arms and leg muscles. Particularly in wet or humid weather. I was getting very severe muscle cramps in my legs and above my knees. They would tighten up and hurt so bad I couldn't do anything but scream and rub my leg. I had it so bad one night, if I could have gotten up to get my gun, I would have used it! [I think] After I stopped using ALL sweeteners [not real sugar] my leg cramps stopped. However, recently I have been getting them again due to my lack of Potassium. I was put on 40 MG of Lasix. There is something one can take that is guaranteed for milder leg cramps or “Charlie Horse" as I've heard it referred too. Quinine really works!! One of my problems is I don't drink enough liquids! Hope this helps someone, because I can't think of anything more painful then muscle cramps in the keg or thigh-at least the kind I was getting! I just started 50 mg of Lyrica 3 times a day for muscle cramps and I now have extreme lower leg pain. I suffer with leg cramps usually the thigh and inner thigh and the only treatment that gives me relief is a bit of salt diluted in water. My leg cramps started after I had a heart attack and was given some poisonous dye which nearly killed me. Since then, I've gotten terrible cramps in my feet, legs, and thighs, and sometimes in my hands. (The ones in my thighs I call 'shark attacks' they are so bad.) I've found only two things that work. Mustard: A teaspoon or more of 'wet mustard' (that is, prepared mustard, not dry) followed by a glass of water stops most of my cramps within a minute or two. If a cramp is really bad, I might have to take a second dose. Another helper has been 'Bio Freeze gel' but, because it's expensive for me (around $7 for a tube available on Amazon), I mostly stick with the mustard. By the way, any brand of mustard seems to work. Good luck to everybody. I have been tortured by severe leg cramps for a few years. Quinine does help many people and can be found in tonic water, but unfortunately, it is not strong enough for me. I have tried many remedies and for me it is pickle juice. The cramp sets off a chain reaction moving from my feet, to my legs and even my back--absolute agony. But I've found that the cramps usually stop within few minutes after drinking pickle juice and go away for a few hours or so. The amount depends on the person; for me it's about 6 oz. I get leg cramps simply from walking around--the more I walk, the worse my cramps. I think the brine in pickles stop cramps, not the vinegar. Why drink vinegar for acute muscle cramping? Cramping responds wonderfully in an acute situation by washing the cramped muscle with a liberal amount of non diluted cider vinegar and waiting 5 to 10 minutes. The muscles relax and there is no residual aching. Try it it works.. I began having leg cramps as a teenager, especially in the thigh muscles. I could get no help from doctors, but I asked a naturopathic doctor about it. His research turned up the idea that it is a result of a deficiency of Vitamin E. At that time, Vitamin E was not available, but he recommended a spoonful of wheat germ oil each day. That helped immensely. After Vitamin E became available, I found that I need at least 800 I.U. per day. Others will have to experiment to find their best dosage. I am now 82 and this has been my experience. Magnesium taken twice a day seems to help my muscle cramps. Statins seem to increase the cramps. I have cramps almost every night in my feet and sometimes in my calves. I try sleeping with socks on to keep my feet warm, which seems to help some, but the only way I get rid of the cramps when they start is to get up and drink dill pickle juice. I am a 73 year old female. I had leg cramps really bad for years. They now penetrate up my thigh clear up to my crotch. The only thing that will relieve them is a heating pad. I keep one handy. I take quinine. It is available and your doctor can get it for you. I take calcium, potassium and many other vitamins and minerals. I had not had a cramp in more than four years and about a week ago I had a really bad one. I can only scream and hop to get the heating pad. I can't even sit on the toilet. I had skipped a couple of my quinine, trying to stretch them out and hadn't realized how many times I had skipped. It works for me. Some nights leg cramps appear out of nowhere, waking me up. I get leg muscle spasms where my toes curl and hurt like the dickens. I find immediate relief from two flexible ice packs handy at all times. I place them where the cramps are hurting the most, underneath the calf of the legs, underneath my feet, and within a few minutes they relax and disappear. Then I follow up with taking potassium, magnesium and calcium pills. I stretch the muscles if possible and sometimes take a pinch of table salt under my tongue for leg cramps if they are severe and recurring. My hand cramps only occur with repetitive use and stop when stretched. I am 62 years old and believe this is a part of aging. For years, my night cramps were generally controlled with quinine pills taken before going to bed. But since they are no longer available, I have been taking a glass of tonic water -- minus the gin -- about an hour before bedtime. This has worked pretty well for me. I still have occasional nights of walking the floors, but it has greatly improved. I am currently very overweight and have Type 2 diabetes. (I had the following problems even when I was 160 lbs. thinner than I am now.) I get very severe cramps in my thighs at night. The pain feels like calf leg cramps (or a "charlie horse") but it's so very, very severe. It feels worse than any leg cramp I have ever experienced. The pain is so bad and no amount of stretching or bending or walking on my leg seems to help. It goes away after about 10 minutes, and the next day the muscles in my leg still hurt. I have never had a heart attack before but to me the pain feels like it would be comparable to that because it is so severe. I have had gallbladder disease and had my gallbladder removed, and a gallbladder attack feels like this kind of pain. I have told my doctor about this pain and had tests done to rule out blood-clots, and they cannot figure out what it is or what causes the pain. From time to time, I also get this same type of muscle pain in other parts of my body such as my lower legs, feet, torso and back. I do not know what to do about it or what is causing it or how to stop it. My doctor does not seem to take it seriously since the previous tests do not show anything conclusive. I get a cramp in my lower right neck just at the base of the skull. It is most commonly started by looking down at only about 20 degrees and can only be relieved by tilting the head back and to the right. I don't know when the information on this site (ref. treatment for leg cramps) was last updated, but quinine is no longer available in the US even with a doctor's prescription. My husband used it for years and it was the only thing that would help. Now we're experimenting with vitamins and herbal remedies. I have not had cramps for several years until today. I take dilute apple cider vinegar and honey daily, 2tblsp vinegar and 1 tsp honey to an 8 oz glass of water (more or less) which I find very refreshing. When I occasionally had leg cramps (charley horse) during the night I would immediately take a couple of fl ozs of the diluted apple cider vinegar and honey mix and the cramps would disappear in less than 15 seconds. I usually take several supplements daily including Vitamins C & E, full multi Bs, kelp, Potassium, and a few others less rigorously, and a well balanced low fat diet. My blood tests taken and again this year were all average for my age (73) and I am in generally good health. For the past two weeks I cut out magnesium calcium supplement at breakfast as I heard it impedes the absorption of some vitamins and should be taken separately. But I usually get caught up the rest of the day and forgot to take it later. I have been physically active in the garden for over a month and today I over-extended myself and was pretty exhausted by 7:30 pm when I stopped for dinner. At 8:30 pm I had violent cramps in both hands while holding a spoon. I took a couple of ozs of the diluted cider vinegar and honey mix and, as usual, it immediately relieved the cramps, however, just to be sure, I took a couple of calcium magnesium supplements also. I hope this gives you a broad enough picture to form your own opinion, but I found the apple cider vinegar and honey provides "immediate" relief from cramps. I have a 2 qt bottle ready made up in the fridge all the time and take about 4 ozs daily. At first the mix may taste a little strong but having quickly got used to it, I take it a bit stronger on the vinegar. I would strongly suggest you talk things over with your physician, as I strongly believe our daily nourishment needs are as individual as our finger prints or our face, and not enough is known, not only of our individual needs, and limits, but also the interaction of everything we take daily, (including medication, which thankfully I don't need). I believe nearly every muscle in my body has cramped one time or another. From my fingers to my toes. To my chest from my hamstrings. Even my chin has cramped. When I feel the onset of a cramp, I usually consume 1 teaspoon of pure mustard. The sodium content really helps my muscles relax. I get terrible foot cramps at night. If I take a spoonful of molasses, they subside. Quinine has been very helpful for me. It can be found in a product called Leg Cramps, and it's sold in most Wal-Marts or drug stores. It is a holistic product. I'm having finger, hand and leg cramps. My quinine prescription for my leg cramps hasn't helped. Maybe it's because I don't take quinine everyday. As of today, I've started taking over-the-counter magnesium, calcium and zinc along with potassium pills. Hopefully they eliminate the cramping. Drinking dill pickle juice daily (particularly at bedtime) has helped many of my family members combat leg cramps - especially at night. I have nocturnal leg cramps sometimes in the calf and occasionally in the upper leg muscles. Tonic water (contains quinine) sometimes helps me along with magnesium and calcium tablets. Drinking V-8, which is high in potassium and sodium, is helpful because it gets you're your system quickly. It helps with muscle spasms. We keep it on hand at all times.